I aspire to be such a wordsmith ! Another fine entry in the Political Poem book. I would have enjoyed it more if I didn’t have the words “Newt” and S”Surge” in my brain when I got to the description of his scrotum. On my feet applauding! Roaches with brooches. . . . Oh, beautiful. You have such a way with words. 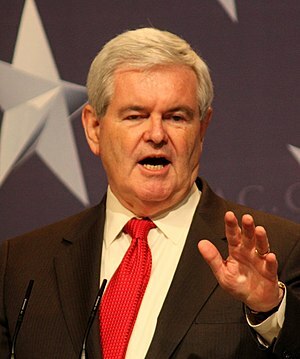 Newt. Another gift to comics. I saw him once at Old Ebbitt’s Grill in D.C. if it weren’t for the table full of Republicans with whom I brunched, I would have enjoyed tipping his tea into his lap to help him cool his large, looming scrotum. p.s. tipping the tea would have enlivened that brunch, eh? It would have made things much more lively. Probably would have cost me my job at the time, but what a way to go!